If you have a metal detector and want to look for old coins and relics in Idaho you should do a bit or research and identify the areas where the earliest settlers spent their time. Below are a few different ideas for places that you could start looking for treasure. As mentioned before, most of the early visitors to Idaho were on their way to Oregon. They traveled in covered wagons across the state on their way to Oregon. Most of them took the famous Oregon Trail that went along the Snake River, but there were several other alternate routes that they also took such as Goodale’s Cutoff and also the California Trail. Most of these travelers were carrying with them all their possessions. As such, they sometimes lost items as they traveled. There are also many stories where immigrants were attacked and killed by Native Americans and their valuables were stolen or lost. And of course, there were many immigrants who died on their journey across Idaho. Needless to say, there are old coins, relics, and buried caches that can be found near the early trails that cut across the state. The railroads were the lifeblood of Idaho. The men that built the rail lines camped along the line as it was being built, and this is one of the best places to find old relics. In the history of the Western United States, some of the first infrastructure to be built was the railroads. These old rail lines provided a lifeline to the remote logging and mining towns that were abundant in Idaho. In Southern Idaho the main rail line went through the Treasure Valley, through southern Idaho and onward to Pocatello. From there, it went up through Idaho Falls and up into Montana, while another line went down through Preston and into Utah. 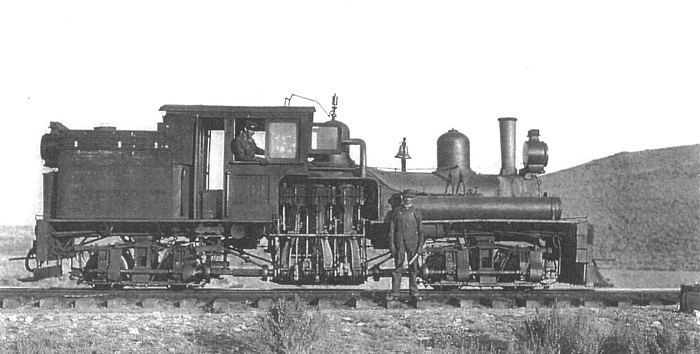 Another rail line was built up in the Idaho Panhandle which went through Bonner’s Ferry, Sandpoint, and Post Falls. The railroads were built using a lot of manpower. Crews of men would camp along the rail lines as they were built. They would move along the rail as they built it. Every few days they would move their tents up the rail line. These are some of the earliest camps in Idaho. There were lots of men congregated in a small area. As such, they would lose valuable items that you can still find today with your metal detector. 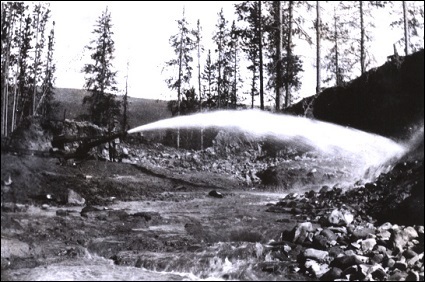 Mining was one of the things that brought considerable growth to the state of Idaho. 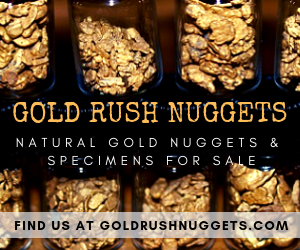 Following the discovery of gold in California, prospectors ventured into other western states in search of gold and silver, and they found plenty of both in Idaho. There are old mining towns scattered all throughout the mountains of Idaho. 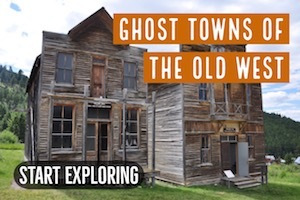 Some of them are still sizable towns today, while others have become ghost towns with little more than a few old wooden buildings to even show that they existed. There are dozens of mining towns throughout Idaho. These were some of the earliest settlements in the state and will be a great place to hunt with a metal detector. Of course, there are dozens of smaller mining towns throughout the state that are now nothing more than a memory. These tiny ghost towns still have buried relics, lost coins, and perhaps even some old caches and buried treasure that you can still find. 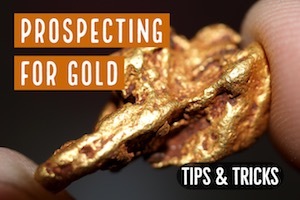 The provide countless opportunities for treasure hunting in Idaho. Logging was huge in Idaho during the first century of the state’s existence. Lumber was needed by nearly everyone, and Idaho had no shortage of lumber. You will still find an abundance of logging towns all throughout central and northern Idaho. The timber industry fueled the economy of much of Idaho for over a century. During the early days, logging camps would be filled with hundreds of men, using simple hand tools to log the forests. These camps are some of the earliest camps in the state. Once the timber was cut the camp would move on, and there is often no evidence that a camp was ever there. If you can figure out where these old logging camps were they can be fantastic places to metal detect for relics, but it will require a lot of research. The places where the earliest Idaho settlers were are the best locations to search for buried treasure with a metal detector. 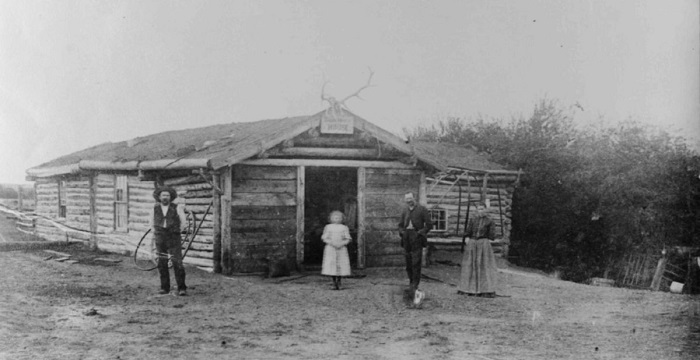 In addition to logging and mining, ranching was the other thing that attracted the earliest settlers to Idaho. Some of the oldest buildings in Idaho are old ranch houses. There are literally thousands of old ranch houses and outbuildings in Idaho that would be great places to hunt with a metal detector. We have outlined some general areas above that cover the types of places where the early settlers in Idaho spent their time and it should give you some ideas for the types of places that you should find if you want to find old coins and relics. Idaho also has some fascinating tales of lost treasure also! 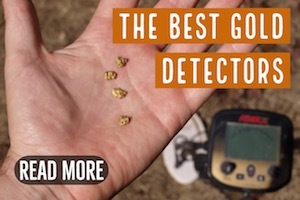 If you really want to strike it rich, maybe you want to spend some time researching these stories of buried treasure and see if you can unearth the find of a lifetime. There are numerous stories of hidden caches near the City of Rocks in Southern Idaho. Indian attacks were common here during the 1800s and many different stories tell of immigrants who stashed valuables among the granite boulders to hide them from attacking Indians. The infamous Plummer Gang in Bannack, Montana claimed to have hidden several caches of stolen gold nuggets in eastern Idaho. Plummer and his men were hung in 1864, and the actual location of his lost treasures is unknown. Another story tells of $100,000 in gold dust that was stolen from a stage coach in Portneuf Canyon bound for Salt Lake City. 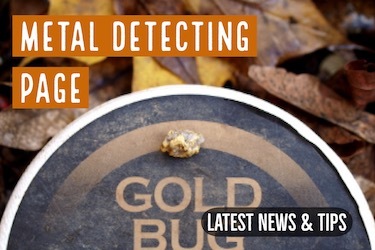 This gold was never recovered and is believed to still be buried somewhere in the area. 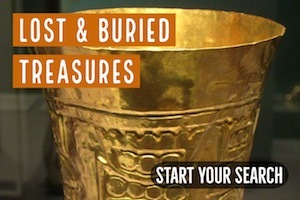 These are just a few out of dozens of tales of lost treasure that you could focus on while treasure hunting in Idaho. There are countless places in Idaho where you can find old coins and relics with a metal detector. Untold treasure is just waiting to be found. The trick to finding buried treasure in Idaho is to locate the oldest areas where lots of people congregated, even if just for a short time. Places like old mining towns and logging camps may be completely gone today, yet there are lots of coins and relics that you can still find there. Researching and locating these areas is the most important factor to continued success as a treasure hunter. Note: Make certain that you are not digging in an area that is off-limits, whether that be a federal or state protected site, or on private lands.